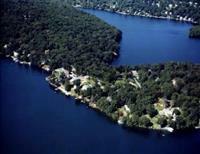 Did you know that "Lake Mahopac" is only 50 miles from NYC. Commuters may take the metro north train from Croton Falls or they can travel on the Taconic State Parkway or Route 684. Boating, Swimming, Fishing, Sailing,Tennis and Golf! "Kirk Lake" is located directly north of "Lake Mahopac". It is known for its calm waters, great water skiing and wonderful fishing. It is about 1/3 the size of Lake Mahopac and borders 50 acres of NYC water-shed property which will remain natural forever. We are very proud of our new state of the art 33,000 sq. ft. library. It features multiple reading rooms overlooking Lake Mahopac, abundant computers, law library and conference rooms. Mahopac has multiple parks. Above is the Mahopac Park on "Lake Mahopac". It's great to take a stroll down to the lake on a summer afternoon. Sycamore Park is a 32 acre park and features it own lake, boating, tennis courts, basketball, summer program for children and outdoor concerts.